You too can become a sailor in Ghana if you are willing to join the Ghana sailing club located at Ada Foah. Members have monthly activities including race competitions and there are opportunities for beginners to learn sailing. If this is your thing, join the best club and sail the waters of Ada. 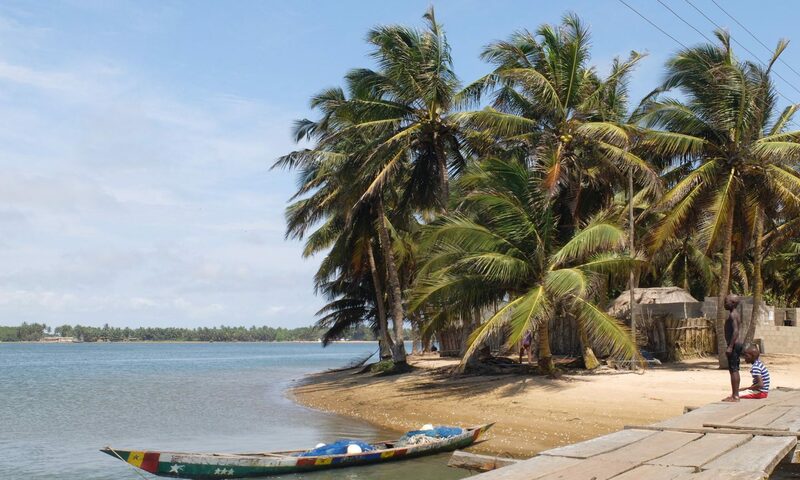 Combine fun and alternative keep fit exercises as you tour the picturesque mangrove communities settling along the shoulders of the calm river Volta with canoe or kayak. Available are one and two man Kayak and traditional Ada canoes for hiring, to expose you to one of the favorite water sports and an exciting activity based experience for both average and affluent classes. If you want more varieties of water sports activities and a perfect chance to learn and exhibit your skills, our open water space provides suitable water surface for you to water ski and set the next world record. Do it faster. Rock the waves and tour the islands in the river Volta in a minute with high speed watercrafts and catch the excitement of this watersports. Acquire a jet ski at beach resorts located at the river banks or contact the tourism office. Looking for game fishing expedition, book in advance and have a fishing boat arranged for you. Fishes populating the fresh river water and the marine water include blue marlin, barracuda, tilapia, big tuna, red fish and yellow tail among others. If you desire to travel from Ada Foah to Kasseh market, Azizanya local fishing habour, the European cemetery, Pute bird watching site you can pick a bike from the tourist office at affordable price. You can also join organized bike tours to Vume pottery site and Songor Lagoon salt mining fields and Margie tribute centre at Bornikope.